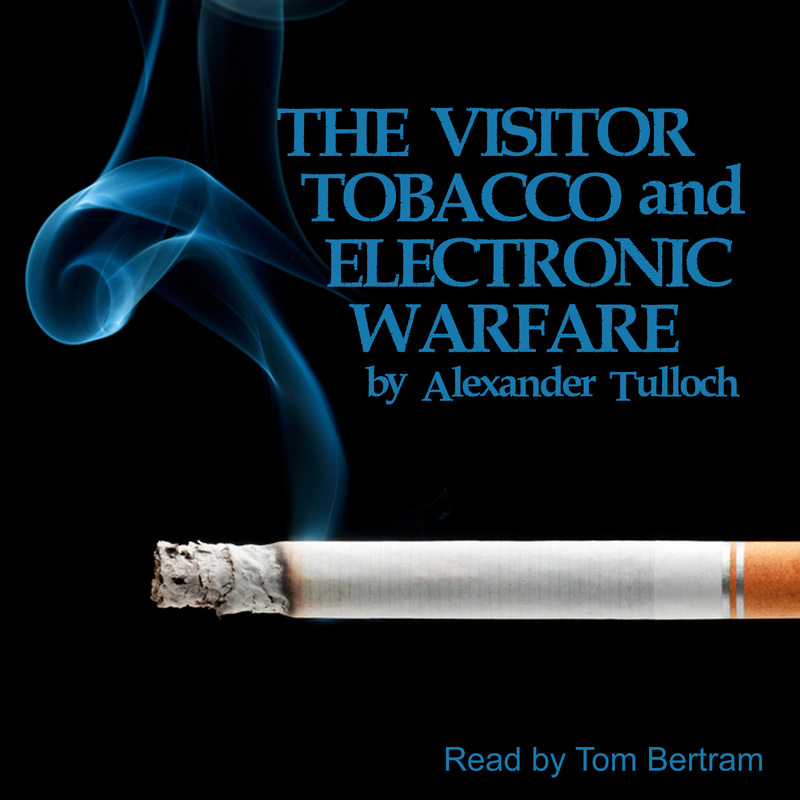 These three fictional stories, with their wry sense of humour and, at times, chilling aspects, will leave the listener waiting for more stories to emanate from the pen of Alexander Tulloch. THE VISITOR: Death came knocking at the door. He had come to take John away. But John was not ready to accompany him. “I’m too young and there’s nothing wrong with me. I’m perfectly healthy; very fit, even,” he explained. Death was not to be persuaded as he needed John’s footballing skills for the Inter-Stellar Cup eliminator rounds, starting next week. But there was a catch. Would this affect Death’s plans? TOBACCO: In the year 2039 it is a capital offence to smoke. Peter has been found guilty of committing such a crime. His closest friend, Michael Bond, a co-smoker, has also been found guilty by the “Ciggies” (members of the Tobacco Detection Unit) and, as a result, his life was terminated. His parents’ discovery that their one and only son was secretly addicted to tobacco was more than they could take. Finding himself in prison and under heavy interrogation, Peter bravely faces the consequences. ELECTRONIC WARFARE: Major Archibald Hicks (Rtd) was a man with his feet planted firmly on the ground … the idea of constructing a radio which could broadcast silence and suppress all sounds in the immediate vicinity had been lurking in the darker recesses of his imagination since his time with the army in the Falklands. With his redesigned ghettoblaster … the television, the washing machine, lawnmower, next door’s motorbike and his son’s stereo would no longer be capable of awakening suicidal tendencies in him. But he was determined to wage a private war against loud noise and those who produce it. Alexander Tulloch was born in Liverpool, England, towards the tail-end of World War Two, and grew up in time to experience the explosion of creative talent that made the city the centre of the universe in the 1960s. He went on to Manchester University to study modern languages and spent the rest of his working life as a professional linguist. His writing career began in the 1970s when he was asked by an American publisher to translate a Russian novel into English. This venture led Alexander on to four decades as a translator and it also gave him the idea of trying his hand at writing his own material for publication. The result is a book on etymology, three books about his native city, two about his adoptive county (Kent), many articles in local and national newspapers and, most recently, these three short stories for Audio Arcadia.